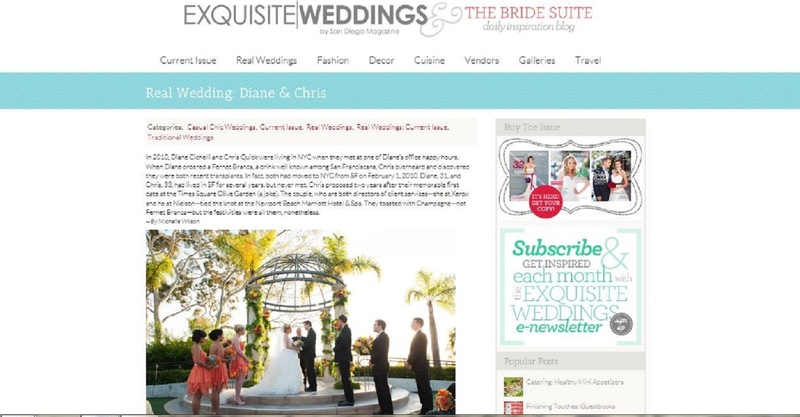 diane & chris featured in exquisite weddings magazine! Events By Candice was featured this month in Exquisite Weddings Magazine! I am thrilled to see this amazing wedding in print and online! Diane and Chris’s October 2012 wedding was simply stunning! Take a look at their adorable story and fun wedding planning moments! Here is a sneak peek! Pick up your copy of this beautiful magazine today! Previous Post real advice from past brides….good read!